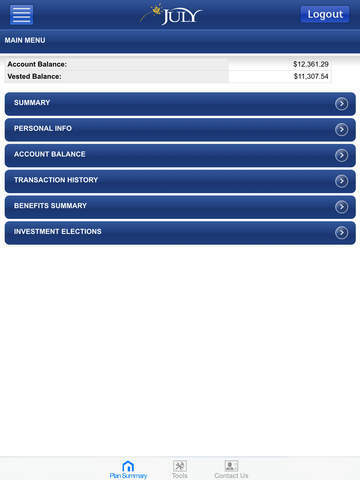 •Check Your Balance – You can view your account balance at any time. 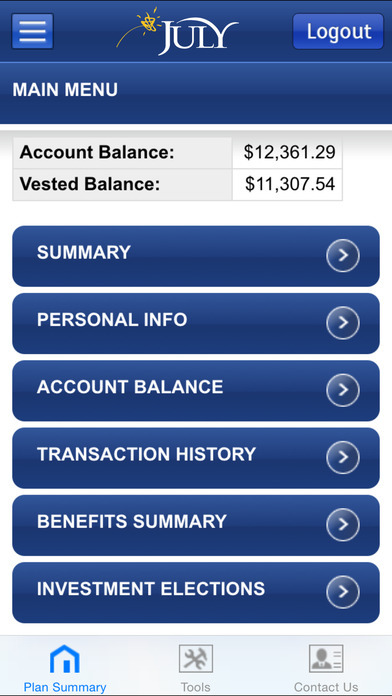 Balances are updated daily. 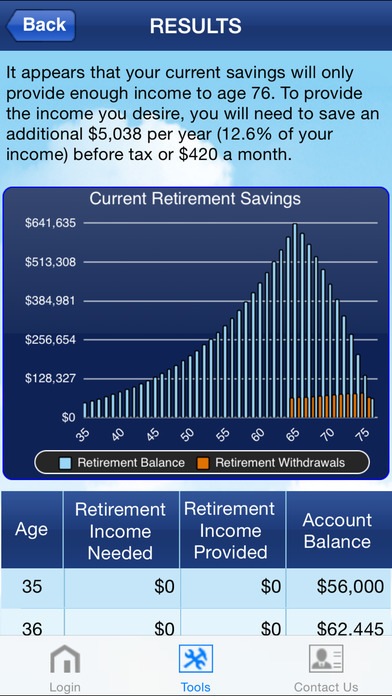 •View Contributions – You can check your current contributions to your plan to verify you are contributing what you need to meet your retirement goals. 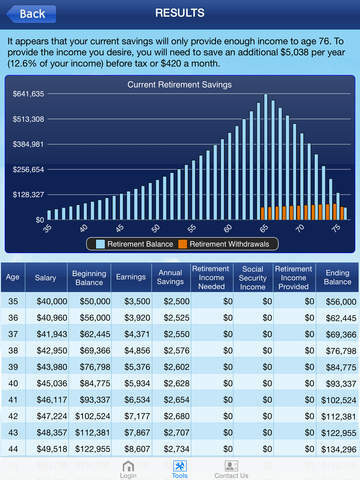 •Plan for Retirement – The online retirement calculator allows you to project the amount you should save to meet your retirement goals and will help you stay on track. •See Historical Transactions – You can retrieve and export historical transactions, including transaction type, date, and amount. 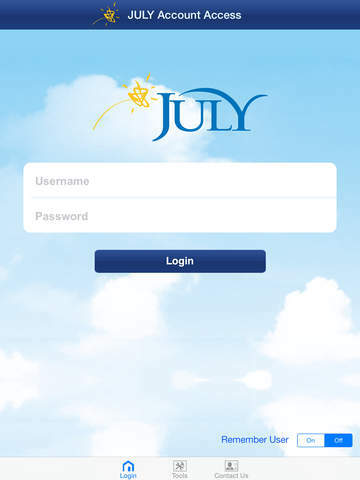 •Easy Contact – Contact JULY directly regarding your account. •Frequently Asked Questions – Browse our answers to questions you may have regarding your retirement information. 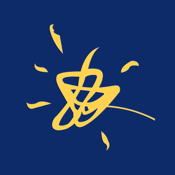 •eConnect - Stay up to date on important announcements and events through JULY’s social media links provided in the app.